« Death of the PC? At the top of my “bucket list” has been the purchase of an “art house”, a place where I could retreat in order to write, paint, meditate, create and dream. I can now check that item off my list. On Feb. 6, 2014, the deed was filed in Thurston County, making it official. 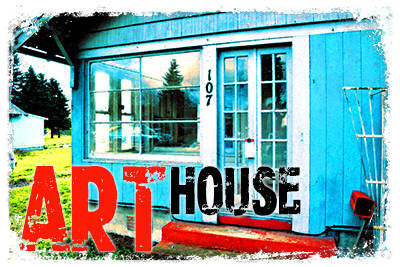 The Art House is no longer a dream. Now it’s a reality. Here was the criteria I followed to choose the perfect place. The story begins here, with this first introductory article. I will chronicle the process of remodeling and design, step-by-step, in the “Art House” section of the Umbrella blog. It will include photos and descriptions – and I look forward to your comments as this project unfolds. As Andy Warhol once famously said, “Art is anything you can get away with.” Or, in this case, “Art is anything you get to live with.” I can’t wait to get started living inside of an art project! Keep your eyes open. More to come. I can’t wait to see how this grows. Congratulations!